By Simon Taylor. First published by MLex 16 November 2016. When the painful process of negotiating the UK’s divorce from the EU starts next year, the European side will send in an old-school Belgian diplomat, someone steeped in his country’s tradition of advancing European integration. Didier Seeuws, a 51-year-old career civil servant from the Flemish city of Ghent, is the man tapped by the Council of the European Union, the institution representing EU member states, to lead its taskforce on Brexit. It is a role that will demand a deft diplomatic touch. While the heavy lifting for negotiations on issues as diverse as fishing quotas and bank capital rules will be carried out by the 20-strong European Commission team, Seeuws’ job will be to keep the EU’s remaining 27 national governments happy. Along with Donald Tusk, the president of the council which brings together the leaders of the EU’s current 28 members, Seeuws will be in regular contact with national capitals and the Sherpas — the EU national leaders’ top advisers. It will be up to the Belgian to make sure the leaders of national governments are happy with the direction and the progress of negotiations on the UK’s departure from the EU. The “heads,” as they are often called, will demand to keep a close eye on the precise terms of the UK’s divorce. Seeuws will be in his element. He was Belgium’s deputy ambassador from 2007 to 2011 and played a leading role when the country chaired the council’s six-month rotating presidency in 2010. In short: He’s an old hand at the business of EU deal making. As deputy ambassador and chairman of the committee of national governments’ permanent representatives to the EU, Seeuws was in charge of talks on the detailed regulatory dossiers related to all aspects of the single market. Among his diplomatic victories at the time was a deal on the European unitary patent, which had been blocked for years by Spain and Italy over language rules for patent filings. His former colleagues in the Belgian embassy say that Seeuws picks up the technicalities of files quickly and can see when the time is ripe to strike a deal. He readily wins the trust of his superiors and is a team builder who is happy to let his staff get do their jobs. One of Seeuws’ most important tasks early next year will be to get the EU’s national governments to agree on guidelines for negotiating the UK’s departure from the EU, as well as its post-Brexit relationship with the bloc. These guidelines will need to be locked in after UK Prime Minister Theresa May triggers Article 50 of the Lisbon Treaty, which sets out the process for a country to leave the bloc. May has said she will send a letter triggering the article in March and officials expect an agreement on the guidelines in the following four to six weeks. The plan is to then wrap up the negotiations by the end of 2018, for the UK to leave before European Parliament elections in spring 2019. Article 50 says the negotiations on Brexit will have to deal both with the UK’s “future relationship” with the EU as well as the terms for exiting. 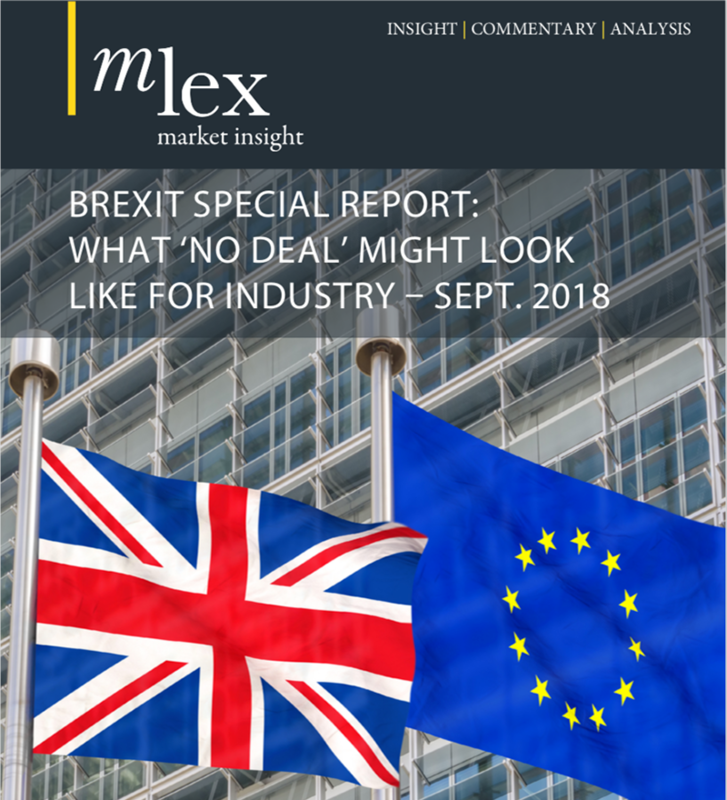 This suggests that internal market rules and the terms under which an independent UK may trade with the bloc will be at the heart of the negotiations. Adding to the complexity, EU officials expect the UK to require transitional arrangements to bridge the gap between its departure from the bloc in 2019 and a new, final trade deal. EU officials say they are expecting three sets of parallel negotiations. The first will deal with the UK’s departure from the EU; the second will cover transitional arrangement; the third will sketch out the UK’s future status. If those talks between the EU27 and the UK weren’t difficult enough, Seeuws’ team will also have to take into account the will of the European Parliament, which has the power to reject — but not amend — a final Brexit deal. This is where Seeuws’ Belgian — and, specifically, Flemish — background will come in handy. The cut and thrust with the parliament will put him in close contact Guy Verhofstadt, the leader of the Alliance of Liberals and Democrats for Europe group and prime minister of Belgium from 2003 to 2007. Verhofstadt, who was appointed by the parliament to be its chief negotiator on Brexit legislature, knows Seeuws well. During Verhofstadt’s term as prime minister, the former Belgian official was his spokesman. But it hasn’t all been smooth sailing between the two since then. Verhofstadt, a liberal, felt that Seeuws betrayed him by going to work for another former prime minister of Belgium, Herman Van Rompuy, a Christian Democrat, when he was appointed as president of the European Council in 2010. For a long time, Verhofstadt refused to talk to Seeuws. But the two have since patched things up and are expected to get along in the Brexit negotiations. The relationship will have to work: Seeuws’ task will be to make sure the council takes the parliament’s priorities into account or face the prospect of lawmakers rejecting the final deal in 2019. The commission’s negotiating team, headed by former French foreign minister Michel Barnier, now numbers 20 officials. But Seeuws’ team only counts five people, although it could be expanded, depending on the negotiations’ demands. Barnier’s group will be responsible for the granular detail of the talks while Seeuws will cover the broader, political role of keeping the leaders of the EU’s other 27 national governments on the same page as the negotiators. Seeuws has his work cut out for him. National governments will be eager to get their share of the spoils left by the UK’s departure — for example, the right to host the prestigious European Medicines Agency and the European Banking Agency, which are based in London. But De Ruyt says Seeuws is up to the task “He’s a fixer; he wants to find solutions,” De Ruyt says. Seeuws will need all the skills and experience he has built up after 27 years in the Belgian diplomatic corps in the long days and nights ahead.